Mars, a male planet is very hot in nature, which is personified as the god of war. Mars has the nature of a warrior and his position in the horoscope indicates the amount of energy a person has and how this energy is used. 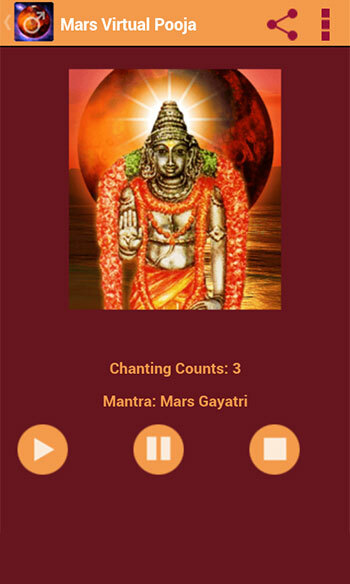 Mars is the indicator of physical and mental energy and the rules on the determination, courage, leadership qualities, self-confidence and physical strength. 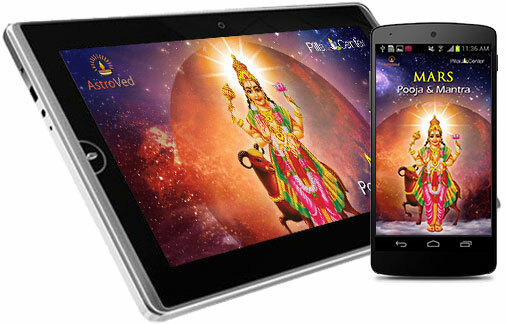 In Vedic astrology, the planet Mars is regarded as a symbol of power and vivacity. 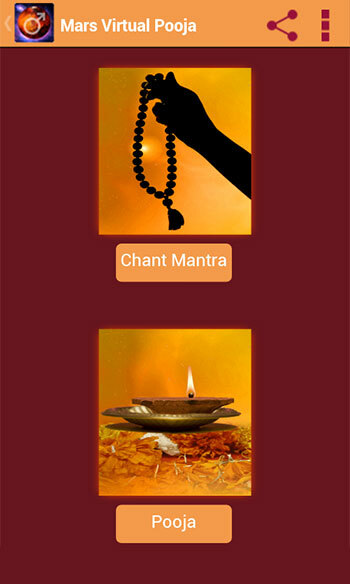 Mars shoots his feelings, his passions and powers trigger your intellectual efforts as well !! 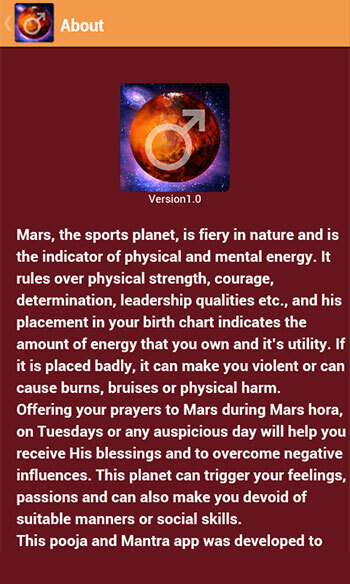 Mr. Mars, a malefic planet, can cause physical damage such as bruises, burns and is also able to make a cruel or violent person, if Lord Mars is badly placed or afflicted in his letter. You can also make the person lacks proper manners or social skills. Weak Mars can also make a target of physical and mental abuse, so their ambitions, resistance, immune system, etc rather weak. 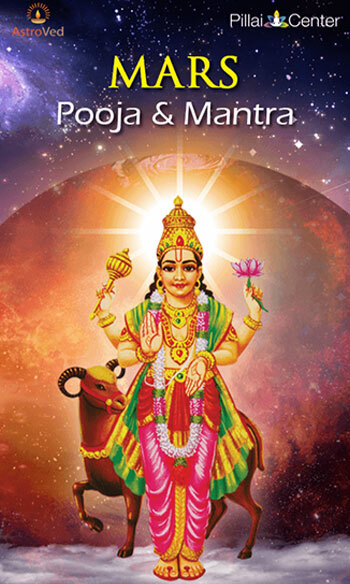 Performing Mars Pooja will help you achieve material wealth and prosperity and can be done on Tuesdays and Mars Time, or any auspicious tithi. 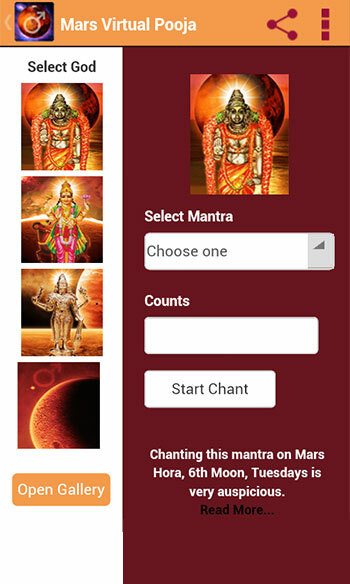 You can now also offer your prayers to the Lord Mars through this Mars Pooja & Mantra application.